Want an eBay app to find eBay items before anyone else? 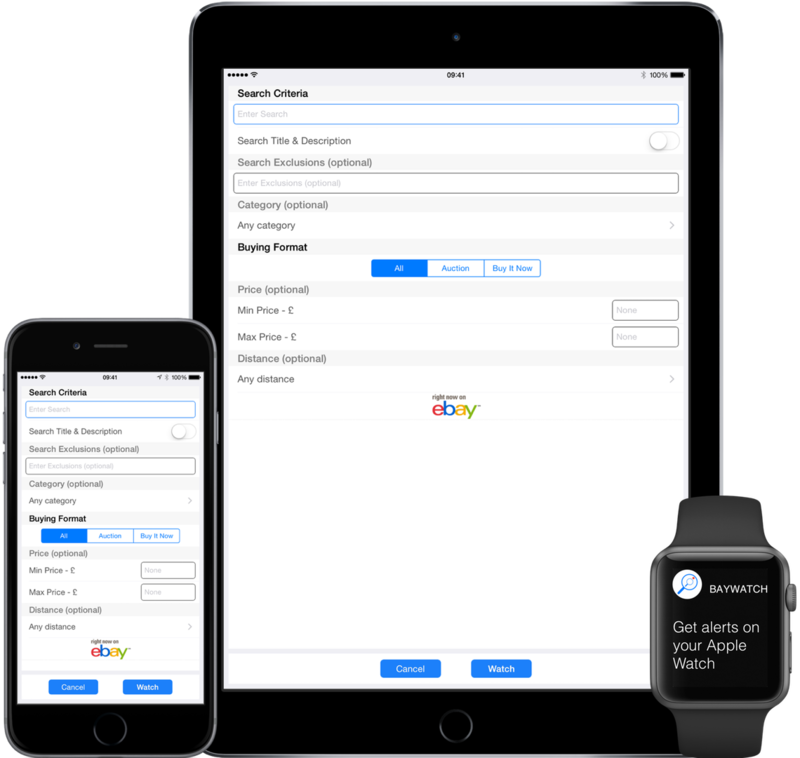 BayWatch lets you find new eBay items first – the eBay App with New Item Alerts notifies you as soon as new eBay listings are found. It is easy to use: enter your search terms and tap watch – it’s that simple. Once you start using BayWatch to find new items on eBay, you’ll wonder how you ever managed without it. Simply set your search criteria, and the BayWatch eBay alerts app will alert you when new eBay items matching your search are found. Watch eBay items and receive alerts before the eBay listing ends, to check your bid and win. The essential eBay alerts app for finding rarely listed eBay™ items, and getting eBay™ bargains at the best price. View eBay item details, price, bids, description, pictures, and simply tap on Shop Now to head over to eBay and purchase. We think you’ll love BayWatch, just like these lovely people. This morning I was able to buy an item with a shop price of £150+ for just £10. As the item had only been listed ten minutes when I got the alert. So thanks for a great app. I am usually looking for obscure items – this app lets me know the second it is advertised – a real game changer!! Finally an app that does all the legwork for me. I don’t have to keep searching through the same stuff day after day. Brilliant. Baywatch has saved me so much time and helped me find the perfect item – what a great idea! Available FREE on the App Store. One app for iPhone, iPad & iPod touch, with push alerts to Apple Watch.